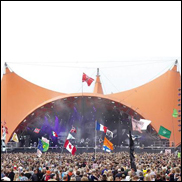 ROSKILDE, DK (VIP NEWS) — Four of the largest Danish festivals, Roskilde, Smukfest (Skanderborg), Jelling Musikfestival and Nibe Festival have joined forces in a fight against two major booking agencies and their plans to promote a new festival in Denmark. The reason for the fight is the new festival Tinderbox in Odense, which is a joint venture, promoted by people from the booking agencies Beatbox and Skandinavian who are promoting the new festival along with German FKP Scorpio. Skandinavian and FKP Scorpio is also promoting the Danish Northside Festival. According to the four Danish festivals the two Danish booking agencies Beatbox and Skandinavian are in a double role. Being both festival promoters and agents for a wide range of Danish names like Tina Dickow, Mew, Nephew, The Only Two, DAD and many more. The four Festivals invite the artists from the two agencies to negotiate any future festival shows without their agents at Beatbox and Skandinavian, with the economic losses this will have on agents. "The Danish festival market is rapidly evolving, and as promoters in the live music industry we are challenged by new players and new economy from the outside. We now see two major booking agencies," Skandinavian "and" Beatbox ", with a strong German capital partner backing them, promoting several festivals in Denmark in the future. This constellation is to be expected amongst our direct competitors in various sizes and corporate structures in the future. We have no problems with that. We live in a free world where everyone can promote festivals, and we see the current development as an extension of the general development of the festival market in Europe.